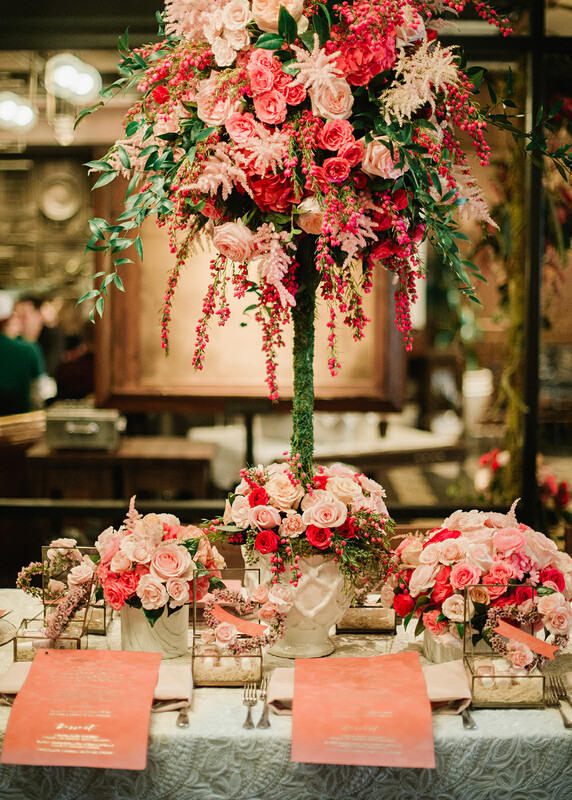 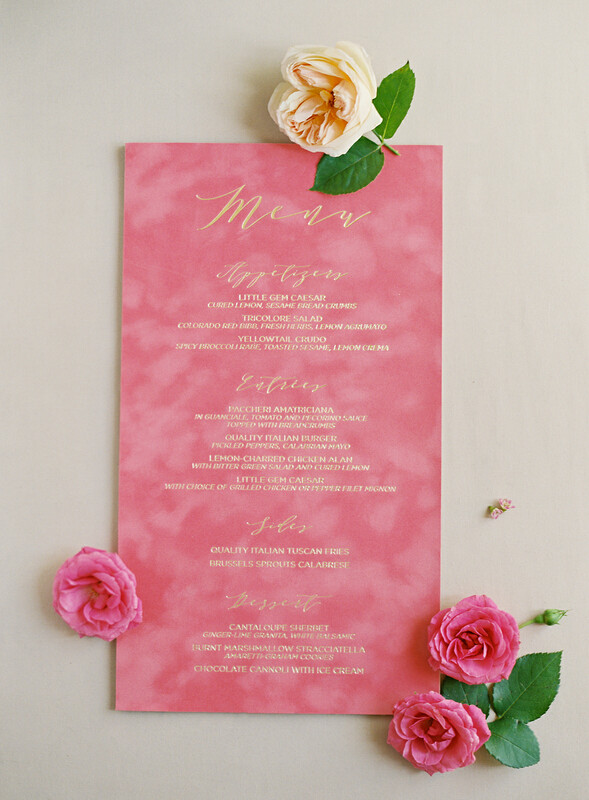 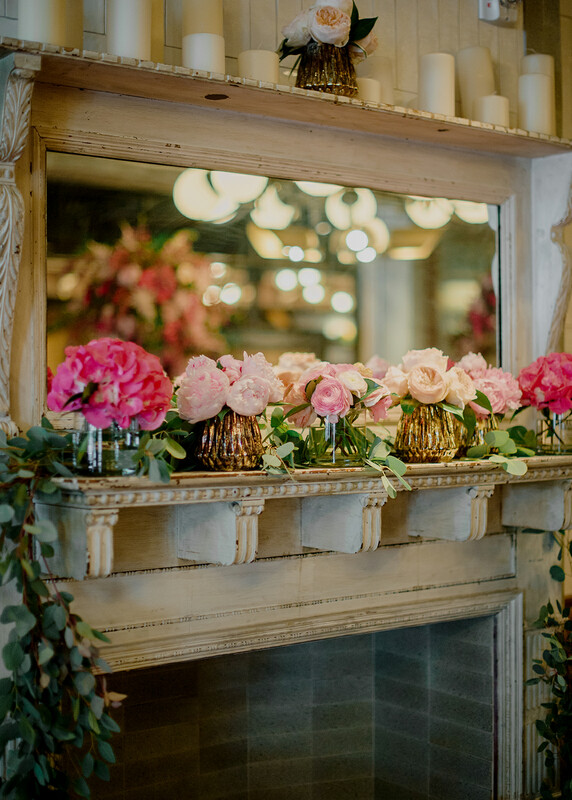 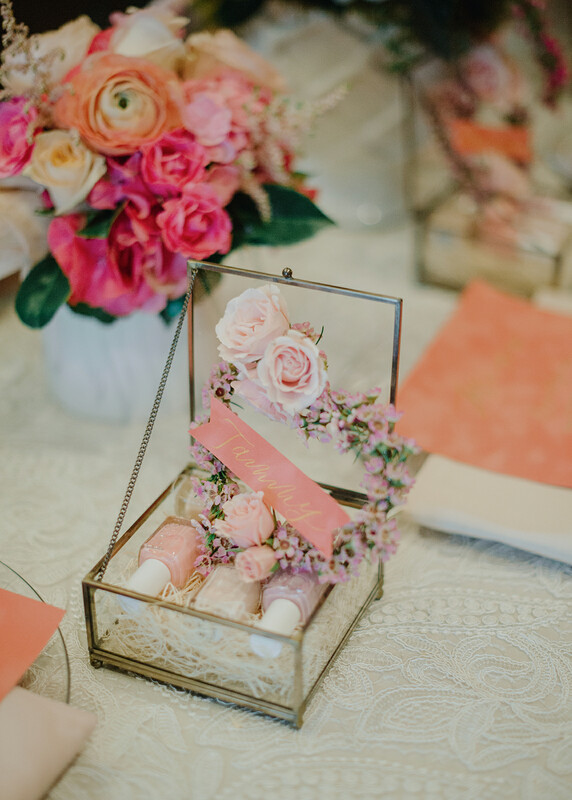 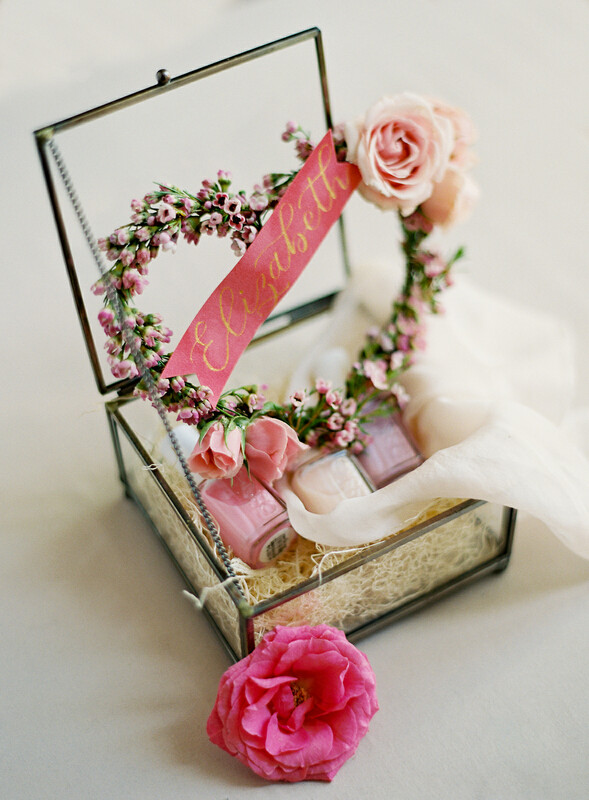 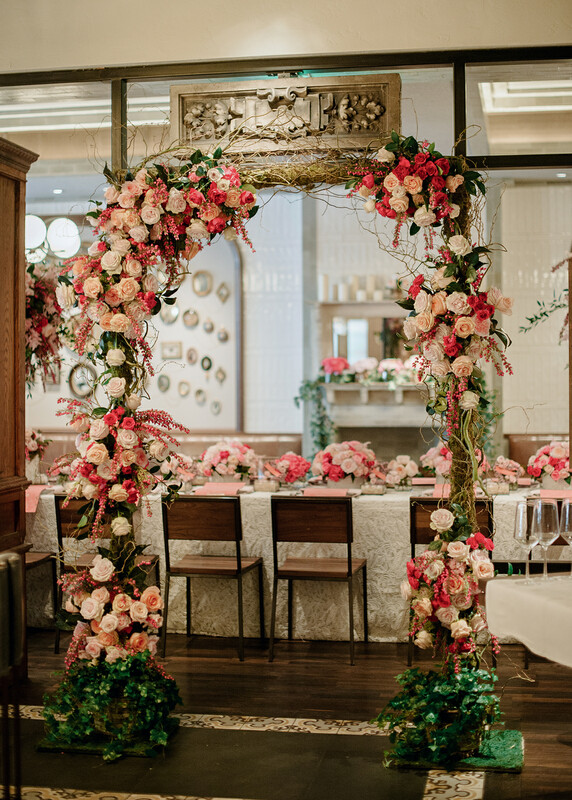 The event started when guests entered through a organic archway filled with roses and orchids in shades of pink, peach, and pops of fuchsia. 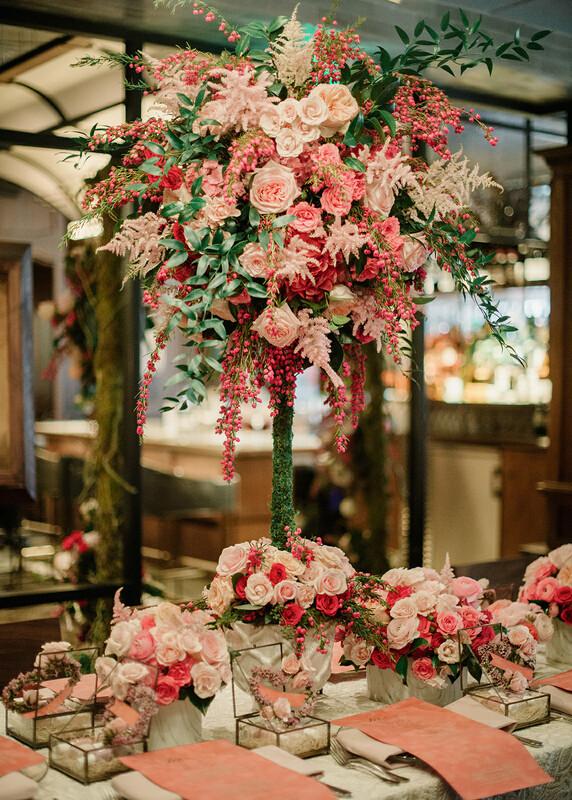 They took their seats at a large kings table that anchored the room with lush linens, two mini floral trees, and small floral arrangements in an eclectic selection of vases. 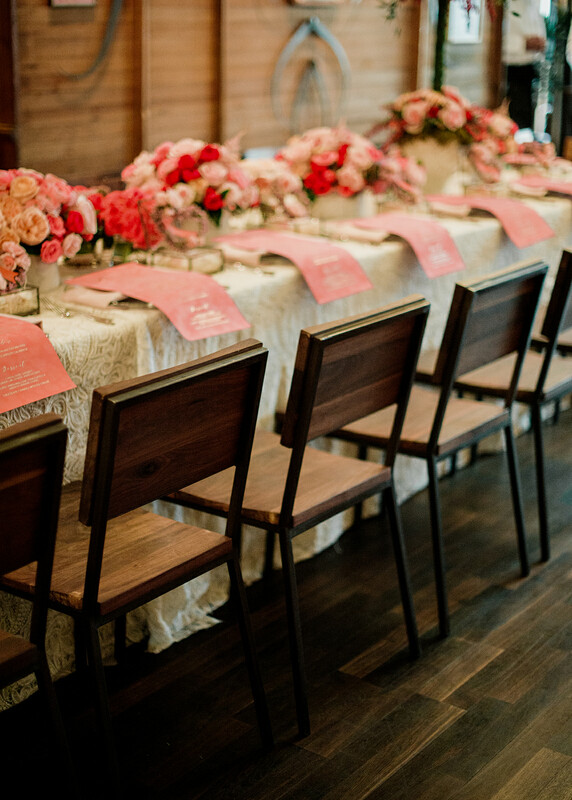 Guests then embraced custom designed place cards, menus, and favors at each of their place-settings. 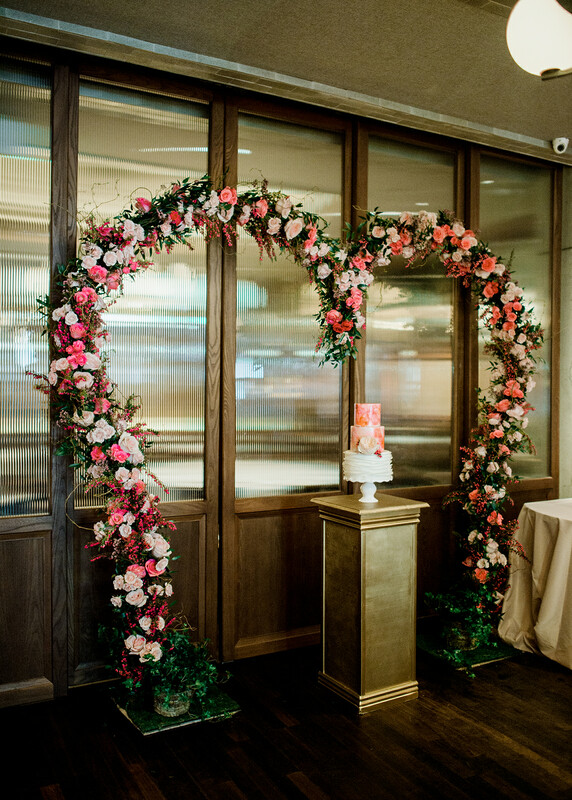 A simple gold pedestal cake stand was placed in front of a over-sized floral and twig heart arch (the arch also became a small backdrop for pictures too!). 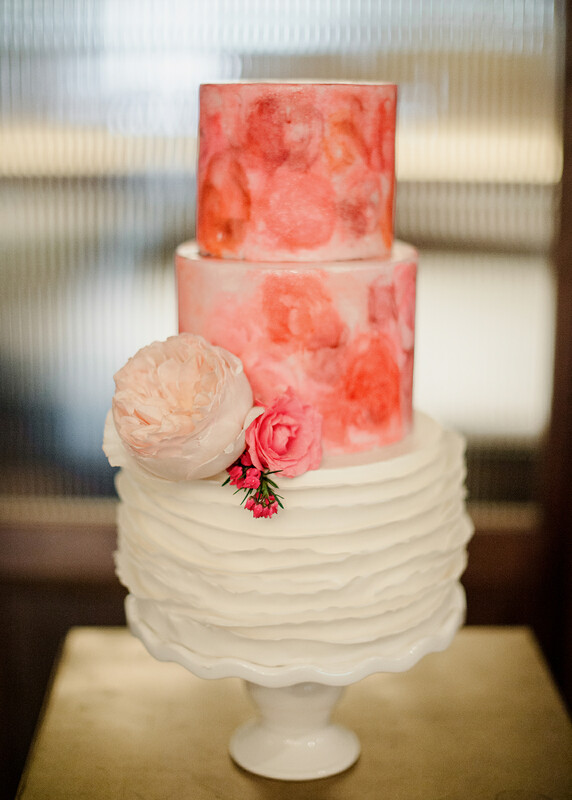 Matching florals were added as accent pieces to the cake to finish off the room and all the details.